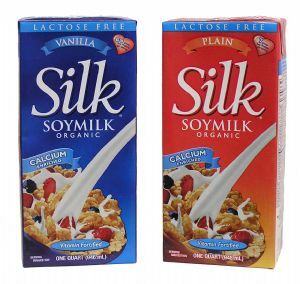 Soy milk has been the most successful of the non-dairy milks in spreading to the mainstream: you can get a soy latté or grab a travel-friendly carton at a gas station. This is because soy milk is the most comparable to cow’s milk in the amount of protein it provides, which is about 8-11 grams per cup. Thus, soy milk is a healthy option for vegans looking to meet their protein needs. Soy milk is great for baking and cooking because of its relatively high fat content. This fat lends a yummy creaminess to anything from ice cream to pasta sauce to waffle batter. Offering the least in terms of fat and calories, almond milk is the best choice for those who want a lighter milk option. Though typically low in protein and fiber, you can find a protein-enriched almond milk (just expect it to cost a little more). It’s also naturally high in vitamin E and heart-healthy monounsaturated fats. 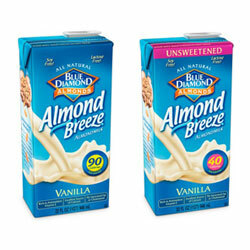 Almond milk is becoming increasingly popular because of its smooth, nutty taste. Try using it to make hot chocolate, chai lattés or smoothies. It also adds a sweet dimension as a dairy substitute in baked goods. It is a common misconception that coconut milk is made from the water that gets trapped inside of coconuts (which is sold as, not surprisingly, coconut water). Coconut milk is actually made from the meat of the coconut. 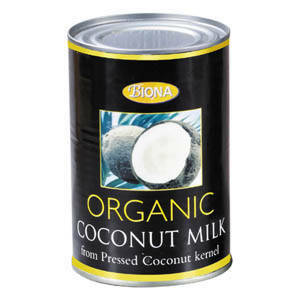 Because of this, coconut milk is high in calories and fat, particularly saturated fat. Some companies have tried to lighten it up by mixing coconut milk with another non-dairy milk. However, coconut milk fans insist that what it lacks in nutrition it makes up for in taste. Indeed, coconut milk is sweet, decadent and distinctly coconut-y. It’s a staple in Southeast Asian cooking, so try using it to make a chicken curry, vegan mango lassi or rice pudding. 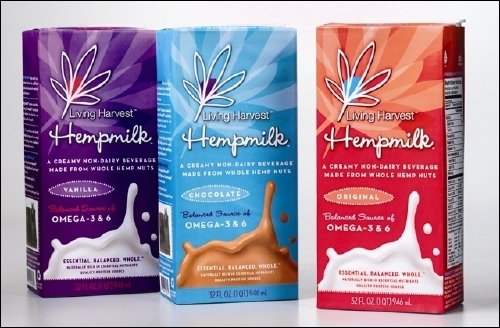 Hemp milk has become a strong contender in the non-dairy scene because it is an excellent source of omega-3 fats. A single cup contains an entire day’s worth of these essential fats. Derived from the seeds of the hemp tree, hemp milk is known to taste a little more plant-y than other non-dairy milks, but choosing a sweetened or flavored version can help your taste buds make the transition. Because of this flavor, you might want to avoid cooking or baking with hemp milk. However, sweetened versions work well when added to smoothies whose fruity flavors are strong enough to accommodate the hemp. 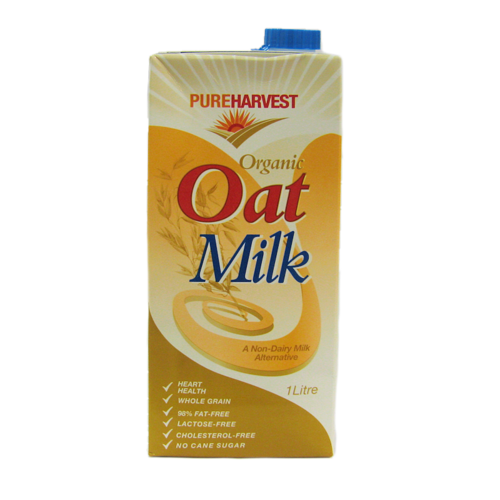 Oat milk is the best source of fiber among non-dairy milks, offering about three grams per cup. The taste is mild and highly similar to low-fat and non-fat milk, which makes oat milk a trusty option to serve lactose-intolerant kids with their dairy-free cookies. On that note, try using oat milk to make vegan raw cookie dough, pudding or a quiche. You can also make homemade oat milk, which is much cheaper (but just as easy) than making homemade almond milk. Most recipes for homemade oat milk only call for oats, salt, and a sprinkling of spices. Just remember that any homemade non-dairy milk won’t be fortified with the calcium and vitamins found in commercial versions. 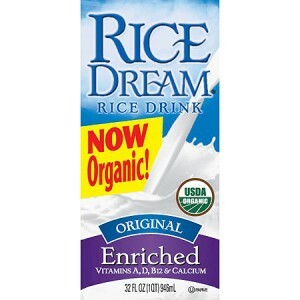 Though rice milk offers little protein and is relatively high in sugar and calories, it’s the non-dairy option that is the most hypoallergenic, containing no soy or tree nuts. Rice milk tastes thinner and sweeter than cow’s milk. Because of its thinness, rice milk is not the best substitute for cow’s milk in recipes that need to thicken or jell, such as pancake batter or pudding. However, it can be used for other baked goods, poured over a bowl of cereal, or stirred into a cup of coffee. Rice milk is also the basis for Mexican horchata, a delicious spiced drink.